The All Family of Companies has strengthened its fleet by adding two versatile and popular Manitowoc MLC650 crawler cranes. The ALL Family of Companies has strengthened its fleet by adding two versatile and popular Manitowoc MLC650 crawler cranes, as well as four new Grove GRT8100 rough terrain cranes. The large capacity MLC650 has a 717 USt capacity and features the Variable Position Counterweight (VPC) technology that automatically positions the crane's counterweight to match lifting demands. ALL went in big with VPC technology in 2014 when it purchased ten of the smaller MLC300s, battle-testing the then-new technology and acting as an incubator for improvements. 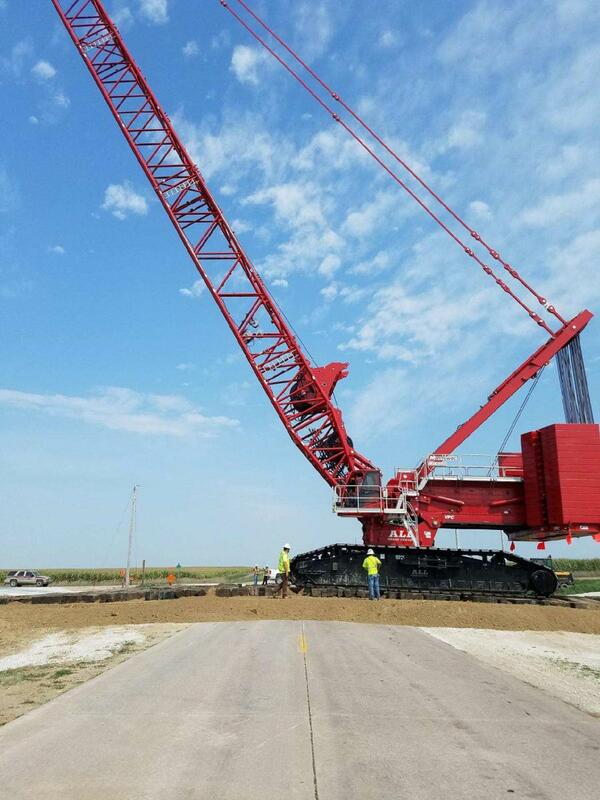 Because the counterweight is movable as needed, VPC helps reduce the crane's operating footprint, minimizes required job site ground preparation, and reduces often by as much as half the matting required to distribute the crane's weight. In all, these reductions could save potentially thousands of dollars per month on longer-term rentals. The MLC650 strengthen All's fleet in critical industries, especially for energy-related projects, including refineries, petrochemical installations, and power plants, as well as infrastructure applications. The smaller footprint plus the Variable Position Counterweight system enable the cranes to easily move around a job site, and a VPC-MAX capacity enhancing attachment allows increased capacity for heavy lifts that would usually require a wheeled-type lift enhancer. The MLC650 maximum capacity increases to 770 USt with the VPC-MAX installed. The Grove GRT8100, meanwhile, was designed with input from crane owners and operators to incorporate some of the most-requested features for a rough terrain crane. Built for today's market, it features 100 USt capacity and a 154-ft., five-section, full-power Megaform main boom with sequenced, synchronized extension capability. This reach and versatility combines with a user-friendly interface, tilting cab, impressive load charts, and extensive component testing to offer unparalleled productivity.